Just the mention of the word "dinosaurs" evokes a sense of timeless awe and amazement. These giants of the past have a tremendous pull and attraction for adults and children, and the proof is in the countless exhibits, movies, books, documentaries, video games etc. that are made for everybody's entertainment. With modern technology, the dinosaur models look and sound very realistic, although that is an oxymoron because no human being was able to witness what a dinosaur actually looked or sounded like. One of the places where one can see dinosaurs in a permanent exhibit is at Sea World, Gold Coast. 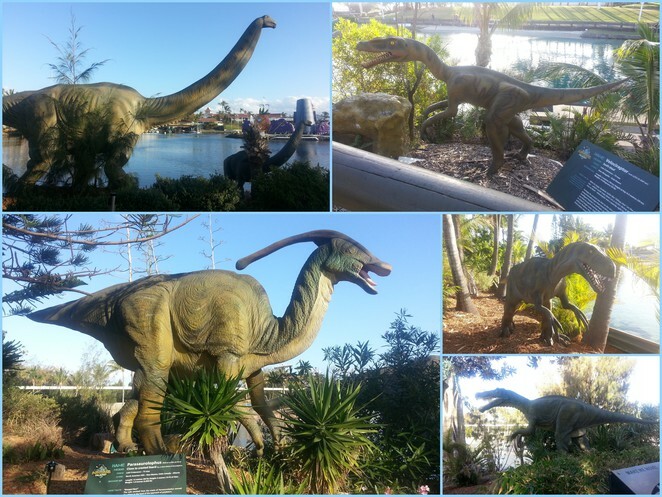 There are about 14 life-size dinosaurs who live in "Dinosaur Island" that can be accessed just a short walk from the main entrance, or if you want to visit it later, there is an entrance from the children's rides area as well. 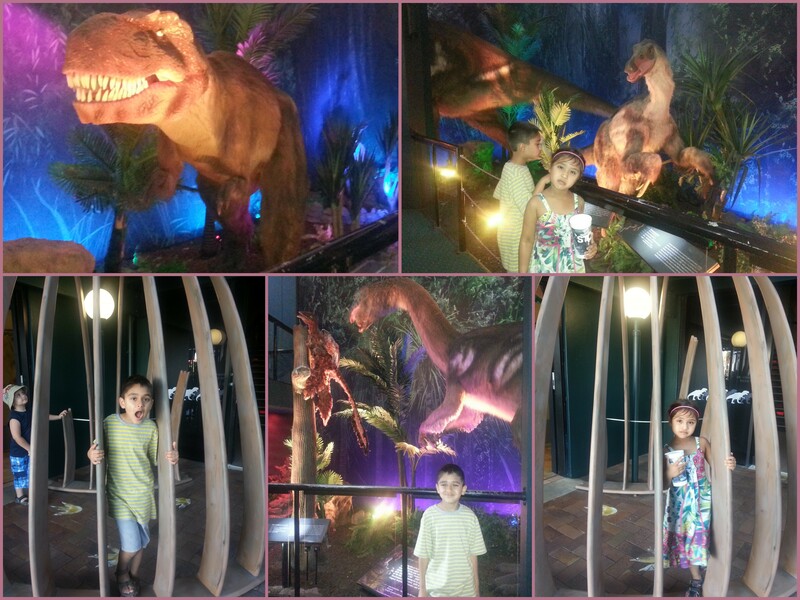 The Dinosaurs are not the only fascinating aspect of the exhibit. 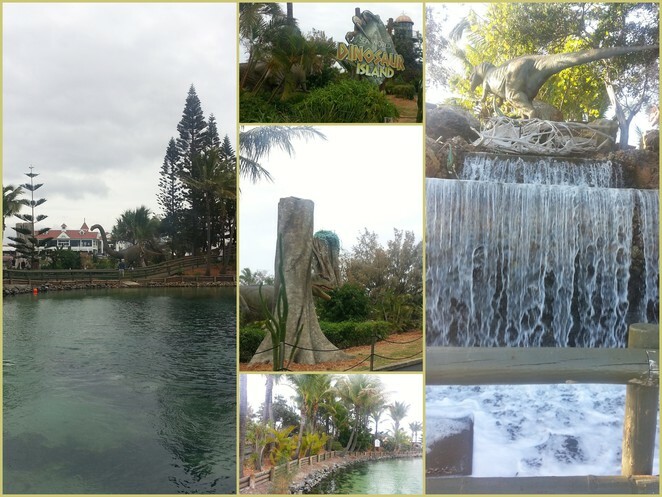 As you step on to Dinosaur Island, you actually feel that you have stepped into a bygone era, where the dinosaurs have been placed in their natural and wild habitat. Trees/foliage and waterfalls create an excellent backdrop, and well-paved paths lead you from one end to the other. The exhibit is an interactive experience. 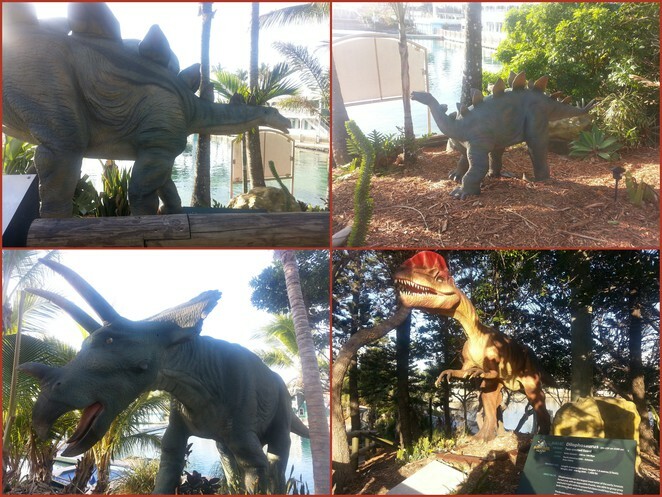 Each dinosaur is accompanied by an information board outlining the salient features. There are some buttons that can be pressed to hear the sounds of the dinosaur or make their limbs move. As you walk past these pre-historic giants, the sounds and movements will make you turn around twice to make sure nothing or no one is following you. In addition to Dinosaur Island, there is a double-storey indoor exhibit to accompany it where more life-like dinosaurs are displayed with lots of information about them. There is a souvenir shop as well from you can buy a plush take-home souvenir to remember your visit. Plan a visit soon to enjoy the visual treat that will be closest to being in "Jurassic Park". Oh no! 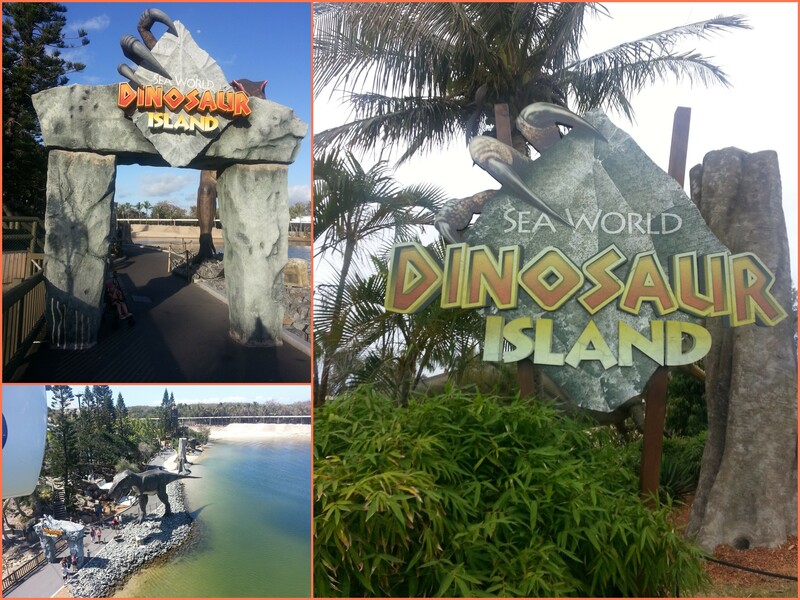 We booked a family trip to the Gold Coast epically to visit the dinosaurs at Sea World. Do you know which museum it's returned too? My boys will be beside them selves! We'll have to go to Palmer's resort now!! !